Worker marching with others at Coleman A. Young Center Aug. 2, 2012. Local 207 has been conducting periodic informational pickets to mobilize its members for the possibility of a strike. 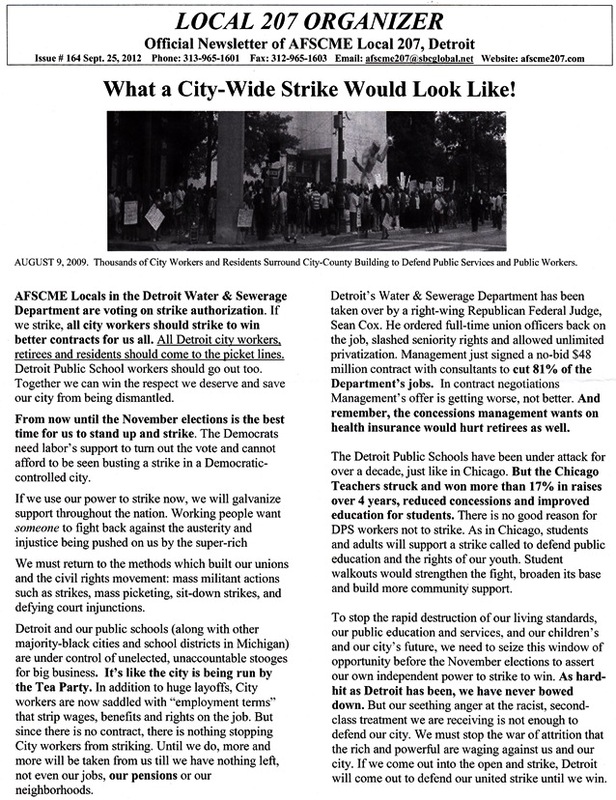 VOD UPDATE SEPT. 27, 2012: Detroit’s AFSCME Local 207 , representing workers at the Detroit Water & Sewerage Dept., voted to authorize a strike yesterday, with 64 percent of members voting “YES,” according to union officials. Local 2920, representing clerical and other DWSD workers, authorized a strike Sept. 25 if ongoing contract negotiations fail. Union leaders are still negotiating, but have said that negotiations are so far not productive. The Detroit Water Board recently approved a $46 million second-stage contract with the EMA Group, which involves cutting 81 percent of the DWSD workforce. The locals are asking all city workers to join to fight the city’s nullification of their union contracts under the Detroit PA 4 consent agreement, and severe lay-offs, wage and benefit reductions, and entire department cuts that have resulted. They are also asking for broad community support. 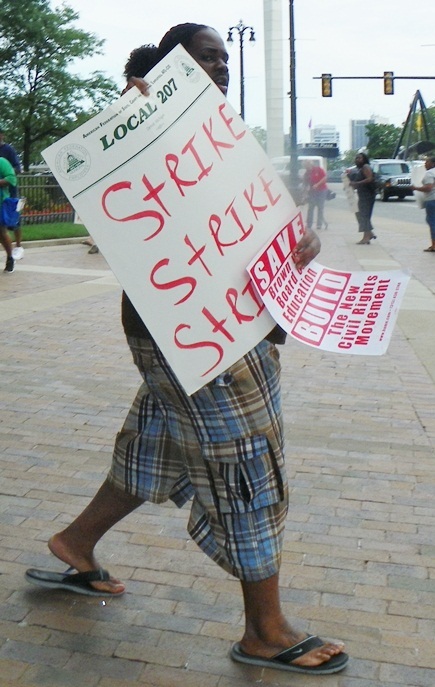 Pingback: Detroit Water Department Strike: Workers Walk Out Over Proposed Job Cuts « Go to News!